The boarding house was established with the blessings of His Holiness Swami Sivanandaji Maharaj, founder of Divine Life Society, Rishikesh. The house has been closely associate with the activities of the Society. 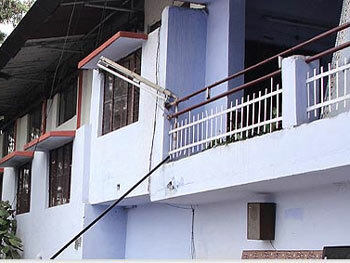 Kailash Boarding House was founded by Mrs. Sneh Gandotra to promote the ideals of her mother Smt. Kailashwati, an eminent educationist and social worker. She was the guiding force and inspiration behind the rapid growth in stature of the Institution. The boarding house takes a very limited number of admissions such the boarders can be properly looked after and an individually sound, instellectual, moral and physical routine can be provided to boarders. Boarders imbibe leadership qualities, high moral character and sense of discipline here. Jaswant Modern Sr. Sec. School, attached to the boarding house, is affiliated to the Central Board of Secondary Education, and is one of the premier Institutions of the Doon Valley. The Management reserves the right to change, amend or remove and part of this prospectus without assigning any reason thereof. The boarding house is situated on Rajpur Road, Dehra Dun amidst healthy & beautiful surroundings facing the Mussoorie hills. It is located in an open space on the Dehra Dun-Mussoorie Road which is neither very far from the City nor amongst the congested areas. The site is ideal for a boarding house. The dormitories are well ventilated, airy and spacious. The main aim of the boarding house is to provide a sound character and atmosphere conducive to the demands of life. The House endeavors to make the boarders responsible, well disciplined, self-reliant, loyal and patriotic citizens. Punctuality and cleanliness are accorded special significance. The House also lays stress on Physical fitness, Sports, Spiritual upliftment and development of latent and acquired talents of the students. Stress is laid on developing the boarder's ability to converse fluently in the English language. Attached to the House is a Senior Secondary (10+2) School affiliated to the CBSE imparting education in subjects ranging form Computer Science, Physics, Biology, Chemistry, Mathematics, Economics, Accounts, Business Studies, English, Hindi, Physical Education, S.U.P.W., Moral Science, Craft, Needle Work, Scouting, Guiding, Designing, Electronics, Art, Yoga, Landscaping etc. The medium of instruction is English. Special stress is laid on developing abilities of conversation in the English language. Special tuitions and guidance is arranged for slow learners. To take good care and maintain discipline in the house, a full time matron is employed. The matron lives inside the house, and along with 'ayahs' looks after the needs of the child. The boarders of the house are provided with nourishing and balanced diet. Food is freshly prepared by the house cook. Emphasis is laid on cleanliness and retention of food value. Members of the Management & the boarders eat from the same kitchen. To provide milk and other products, the house, maintains its own dairy which supplies pure milk ot the boarding house. The boarders of the house are required to participate in various games which form an essential part of the curriculum. Special coaches are arranged for the purpose. Sports played regularly in the house competition include Badminton, Volley Ball, Basket Ball, Cricket, Lawn Tennis, Taekwondo, Table-Tennis, Athletics, Gymnastics besides many indoor games. Special attention is paid to the health and hygiene of the boarders. Proper sanitary conditions are maintained by 'Karamcharies' appointed for the purpose. Cleanliness is ensured through periodic surprise checks by members of the management. To provide relief from the daily routine of the curriculum, boarders are taken on treks, outings, picnics, excursions and visits to historical places. Treks, outstation trips and excursions are also organized during term. The house has a TV/Video and entertainment lounge attached to the dormitories where boarders can watch educative programs. Students are, however, not allowed to watch frivolous, un-educative programs. Residential Accommodation is available for children between the classes of Nursery to XII. The academic year is from April to March in two terms. Ist term extends from April to December. IInd term extends form January to March. All the students should have full dresses and other necessities according to the list given. Students should not bring their home clothes. They are expected to use the uniform for games after school hours. They should only bring two or three sets of good clothes for occasions and Sundays. To avoid misplacement, children are not allowed to keep any expensive articles. I.e. jewellery, chain or watch, music systems etc. Students are not allowed to keep any money with them. Please deposit the same (if any) with the warden. Parents should take their wards on the dates as per the school calendar. Children who stay later than due dates will be charged at the rate of Rs. 30 per day. (The notice of holidays shall also be posted in advance). The parents/guardians may give names & particulars of two visitors, at the most, who will be eligible to visit the child on Saturday only between 5.00P.M. to 6.00 P.M.
Parents are earnestly requested to cooperate with the hostel to maintain a high standard of discipline among the children by abiding by the rules and regulations of the hostel. In case if any parent/guardian withdraws his/her ward in mid session, the fee for whole term (11 months) will be charged. Withdrawal of the ward should be informed at least two months in advance.